In an effort to better serve the Adolescent and Young Adult population, the Lymphoma Research Foundation’s (LRF) Erase Lymphoma program aims to assist young lymphoma patients in addressing the unique medical challenges, psychosocial needs and access issues they may encounter by providing expert materials and programs. With an increased focus of lymphoma, we can empower patients with the knowledge they need to beat this blood cancer and raise the funds needed to cure it. The challenges faced by AYA cancer patients remain one of the greatest unmet social and health needs facing young people today. That is why the Lymphoma Research Foundation (LRF) developed #EraseLymphoma, the nation’s first programmatic initiative to meet the needs of young people with this type of cancer. 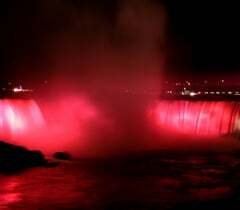 LRF programs also raise awareness of the prevalence of cancer among the AYA population as well as the support that patients and their loved ones require. 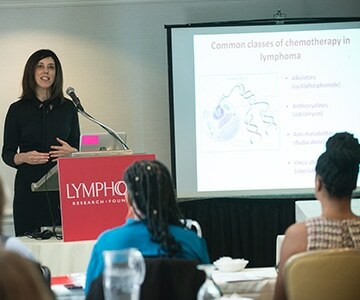 The Lymphoma Research Foundation now seeks to deliver this multi-disciplinary, multi-modal program directly to student health centers on college and university campuses nationwide. The #EraseLymphoma on Campus program and related materials are offered free of charge to these academic partners and a customized training will be developed for health center staff by LRF’s national experts. 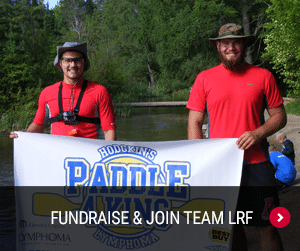 LRF successfully implemented a pilot program in 2016 at Wesleyan University, and has since expanded the program to other major universities across the country including, Rutgers Cancer Institute of New Jersey at Rutgers, The State University of New Jersey. 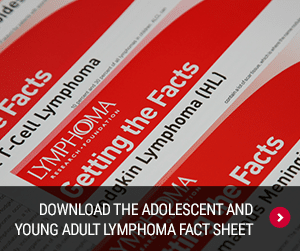 State of the art digital and hard copy toolkits complete with educational materials developed and reviewed by LRF staff and national lymphoma experts. Each toolkit includes: disease-specific information; free supportive care resources; peer-to-peer connectivity for students; and cancer survivorship materials for students after treatment ends. All materials are available in digital, online, app-based and hard copy formats. One-to-one peer support program that connects patients and caregivers with volunteers that have had a similar lymphoma experience, for mutual emotional support and encouragement. This type of peer support is vital to young people with lymphoma or who are lymphoma survivors. The toolkit and program provides applicants with a questionnaire, which enables enrollment in the program. The Lymphoma Helpline provides people with lymphoma and their loved ones with disease and treatment-related information and resources. 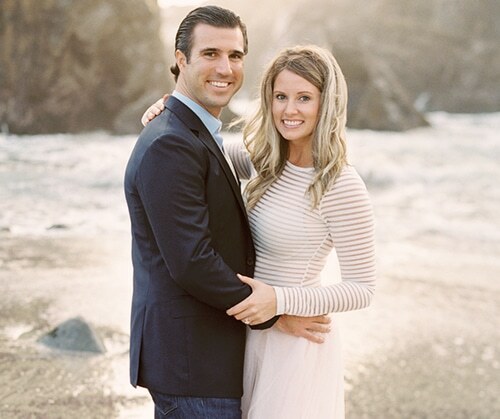 "AJ was diagnosed with B-cell lymphoma and our world stopped turning."